In his book, “The Brain: The Story of You,” David Eagleman shares an idea about intuition shared by ancient Greeks. When I was named Headmaster at my previous school, my mentor told me that I would experience a period of being neurotically imbalanced as I leaned into the new position. Even though I wanted the position, I was both amused and a little concerned about the prospect of becoming neurotically imbalanced. She, the mentor, went on to say that if the imbalance lasts for more than a year I probably have the wrong job or an early death wish. Again, I saw both humor and an interesting warning in her guidance. Maybe I should have circled a date on a calendar. Twenty-three years later I continue to find the black horse of passion to be more interesting and certainly harder to control than the white one of reason. What do you say to the boy who dreams of being a Cy Young Award winner or the MVP of the Super Bowl? What about the girl who dreams of walking on Mars or performing on Broadway? What about the teenager who says he wants to become the richest person ever and then give it all away and start over again? They are not charioteers. They are astronauts. Our children are exposed to people and experiences that allow them to dream and set goals that range from huge to unimaginable. In some cases they are thinking of ideas that have not yet become usable. The innovations of the past 10 years are clearly the tip of the iceberg of ideas that will change the way we live in the next 20-25 years. Our children, our Shorecrest students, will be the people steering the spaceship. How do we prepare our students to be pilots? How do we help them maintain some semblance of reason while at the same time letting them have enough freedom to push the boundaries of how things are done today? No matter what changes in the world in which we live, there are a few things about being a good person that will not change. We know that positive affection and intellectual and sensory stimulation at early ages have an enormous influence on one’s future development. It is one of the reasons I believe the investment in early childhood education is one of the most important gifts and advantages a child can receive. It is one of the reasons why teachers in The Experiential School at Shorecrest are on the same pay scale as all other teachers. We know that if we can put educated and child-centered educators in front of our young children, those young students will Be More than they otherwise might be. We believe that when we provide children of all ages with curricular experiences that culminate in memorable moments, we ignite in them the passion to be lifelong learners, researches, makers and leaders. 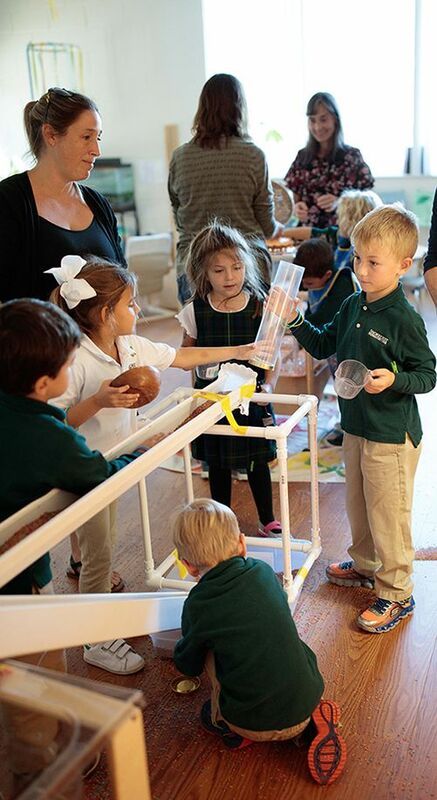 At Shorecrest we take a pragmatic approach to educating children and do not experiment with them. We have our white horses of reason lined up. We provide programs that have proven over the years to lead not only to acceptance at wonderful universities, but also lead to success once enrolled in those schools. At the same time, we are proud to be progressive. We are thrilled when the black horses of passion are unleashed in our classrooms. We want to provide students with memorable moments in the classroom. These moments will be the springboards to the hard work that will lead to future success.